We are five ego-less impaths who love the jungle. I was born in Rawalpindi, Pakistan of Irish parents. 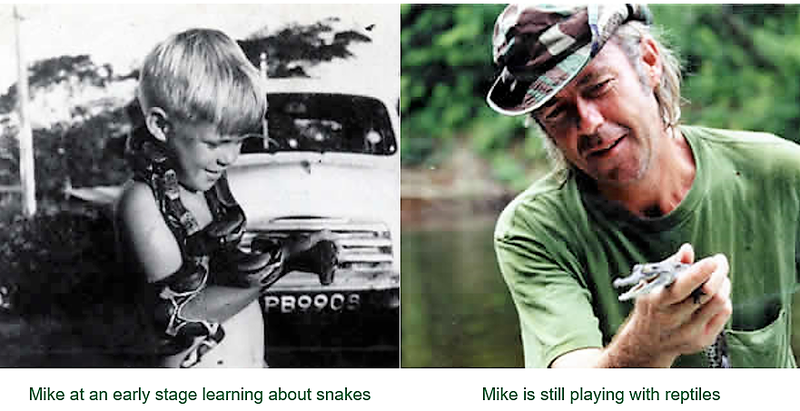 Soon after my birth, we moved to Trinidad &Tobago in the West Indies, where I spent the next 14 years of my life – it was there that my father, known throughout the islands as “Snake Man”, bequeathed to me his passion for snakes and crocodiles and, indeed, the natural world. I completed my secondary level schooling in Northern Ireland, and for the next five years worked as a research assistant for the Department of Industrial & Forensic Science as a water pollution analyst. However, biology was my passion, and I moved to England to become an undergraduate. In 1979, I graduated with honors in Biology from the University of Portsmouth. After graduating, I worked for many years in the Ulster Museum, Belfast, as an Entomologist, studying the taxonomy and faunistics of parasitic wasps (the Ichneumonidae!) – I was elected Fellow of the Royal Entomological Society of London for my published contributions to entomological research. Subsequent to this I took another position in the Ulster Museum working on the conservation of bats in Ireland – Indeed, I was one of the founding members of the Northern Ireland Bat Group, and Ireland’s first professional batman!! Accepting an offer to establish the first Tropical Butterfly and Reptile House in Northern Ireland, I went on to develop and manage this project into one of the province’s leading tourist attractions. I then moved to Scotland and began a project with The Highlands & Islands Development Board to create rainforest exhibit entitled “The Living Rainforest”. This was to be an expansion of the ideas I gained from my experiences in Northern Ireland. However, a 29% fall in tourism in 1994 spelled the end to the project. During this period I wielded a pickaxe and shovel to make ends meet – I was a laborer, and loved it! However, I yearned to return to the tropics, and to rainforests that I so love. 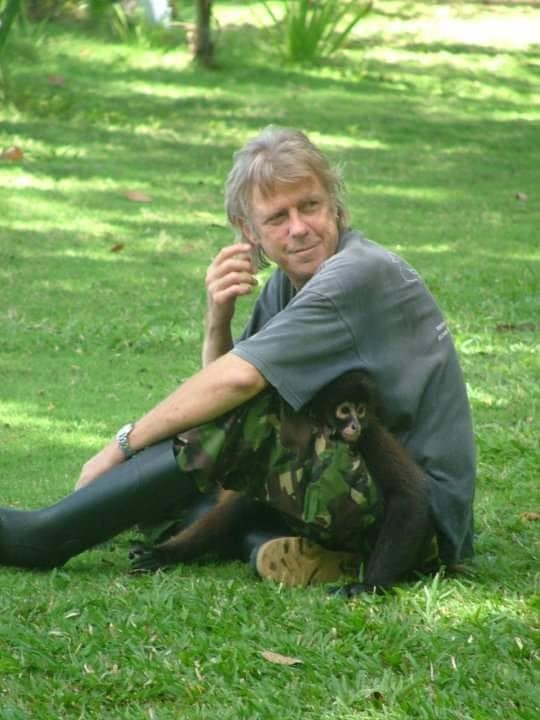 Bewitched by the wild beauty of the Osa Peninsula during a visit in 1995, I returned to there to live and work the following year. In 1998, I established Osa Aventura. Since then, I have been imbuing in others that passion for tropical rainforests that my father imbued in me in my formative years. 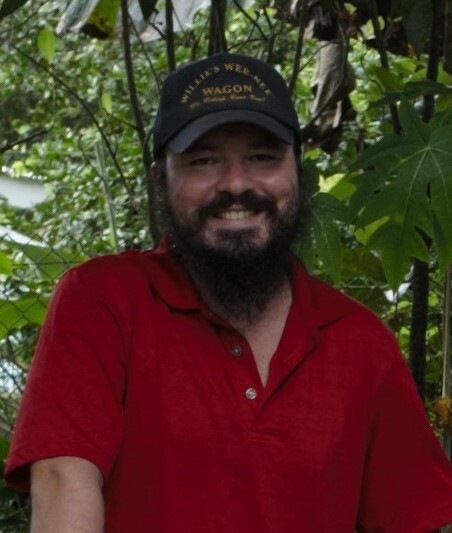 Jorge is a “junglemaster”. Jorge was born and raised in one of the far corners of the jungle in the Osa. His practical yet insightful knowledge of the forest is amazing and immense! After all, he grew up with the sights and sounds of the forest around him. 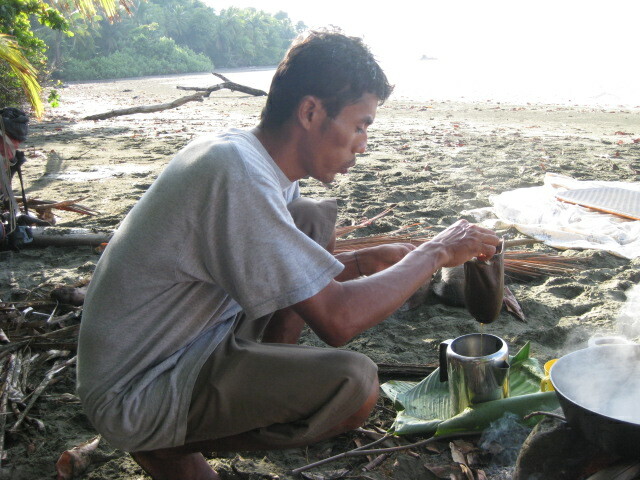 He spent his early years on Osa with his uncles prospecting for gold and hunting. He was the supply getter: he would hike, at night, a 35 km mountain trail between the headwaters of Rio Claro (in Corcovado) and the village of La Palma, to fetch supplies and guaro for his uncles. He rigged up a special 8-battery flashlight to last the 11 hours it took to hike the trail. He told me that if any part of his body touched the mosquito net over his bed at night, that vampire bats would bite and lap up blood there. I met Jorge in 2002 at Rio Nuevo Tent Camp, where he was the caretaker and his wife the cook. I took groups of students there, and under Jorge´s guidance, hiked them across the heart of the Osa Peninsula to the Pacific Coast at Carate. His utilitarian knowledge of the jungle complemented my conceptual academic understanding. We have remained friends ever since. We have guided many expeditions together and carried out a population survey of the American crocodiles in the rivers and lagoons of the Osa Peninsula and adjacent mainland for 6 years. I refer to Jorge as “my Valium”. Whenever I am with him, he always takes care of all arrangements and repairs- I have nothing to worry about!